This book provides distinctive analysis of the full range of expressions in global education at a crucial time, when international competition rises, tensions with American foreign policy both complicate and motivate new activity, and a variety of innovations are taking shape. Citing best practices at a variety of institutions, the book provides practical coverage and guidance in the major aspects of global education, including curriculum, study abroad, international students, collaborations and branch campuses, while dealing as well with management issues and options. 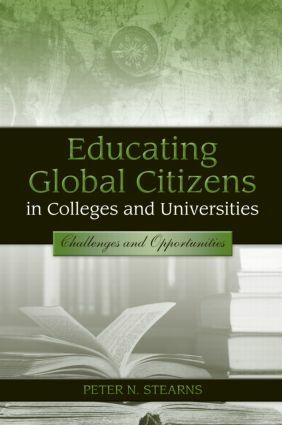 The book is intended to guide academic administrators and students in higher education, at a point when international education issues increasingly impinge on all aspects of college or university operation. The book deals as well with core principles that must guide global educational endeavors, and with problems and issues in the field in general as well as in specific functional areas. Challenges of assessment also win attention. Higher education professionals will find that this book serves as a manageable and provocative guide, in one of the most challenging and exciting areas of American higher education today. Chapter 1: Introduction: Why Global Education?